pictures | there, then, and now. Ah, yes. Sunny San Francisco is where I started my 2012. My work term #2. I didn’t have to deal with Canadian winter, and it was surprisingly amazing weather throughout my stay (apparently, it is usually cloudy and rainy during winter in SF). My first Android phone – Motorola Atrix, Lookout Mobile Security, SF. My first time using a smartphone w/ a full out 2Gig data plan. I became a lot more aware of social networks like 4sq and Path, and it was so much easier to explore the city with this device. Thanks Lookout! 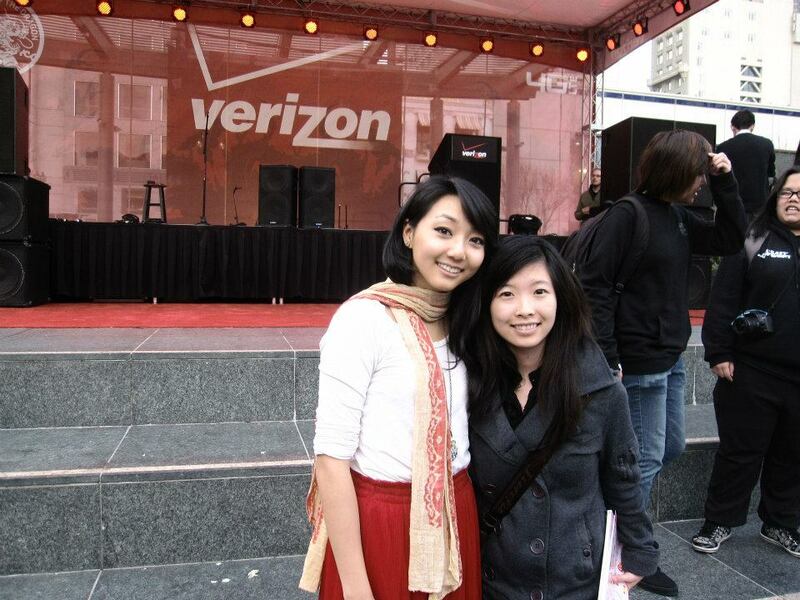 Me & Clara C at Union Square, SF. I saw Clara C perform for a bit in Union Square (a 2 minute walk from where I was staying). She has a very bubbly personality and is extremely talented. It was also my first time viewing cherry blossom trees in full bloom. There was a huge Cherry blossom festival parade. Lots of cosplay went on.